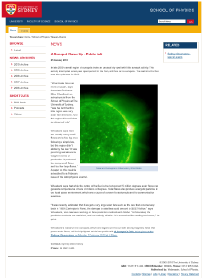 At the end of October in 2009 sunspot region 11029 interrupted an extended spot-free interval on the Sun, and produced a remarkable series of solar flares during one week. I studied the statistics of these flares using original Bayesian methods, and found a departure from a long-standing rule of flare occurrence. 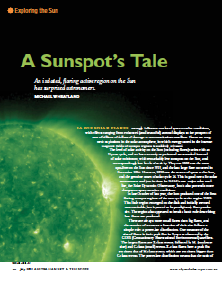 Links to overheads from talks on the study are available here ("A sunspot's tale"). I wrote an article for Australian Sky & Telescope, which appeared in the July 2010 issue. The article is linked to below, together with two other related media stories. 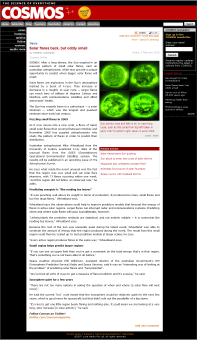 A journal article on the results was published in the Astrophysical Journal.